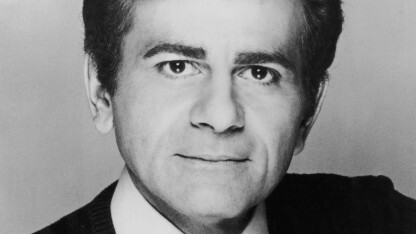 Legendary radio personality and the only true host of “American Top 40” (sorry Ryan) Casey Kasem has gone missing. He might be in Canada, some other foreign country or on an Indian Reservation. No one seems to know for sure. Casey, “King of the Long Distance Dedication,” has been ailing for some time and sadly is coming to the end of his storied life. The man who made a living with his voice can no longer speak. He’s being fed through a tube. He has the horrible affliction of Parkinson’s disease. He’s 82. His kids from his first marriage say they want to take care of Casey in his final days. His current wife Jean says no, she will take care of Casey. Recently, Jean got the doctors at the private facility caring for Casey to release him and neither his kids nor a judge can find him. It’s a global Where’s Waldo? Or maybe “Shaggy” in this case. Kerri Kasem, a daughter from his first marriage who was granted access to Casey by a Los Angeles court, is hoping Jean hasn’t hurt him. Casey’s children have been estranged from Jean for years. Kerri says she can only “speculate” as to her motives. I know what the motives are. Whether it’s Jean, his wife since 1980, or his kids from his previous marriage, the motivation is exactly the same. Casey Kasem is worth $80 million dollars! Jean wants the money and so do his kids from his first marriage! Coincidentally, Jean’s net worth is $80 million too. Jean will get control of the estate upon his death. And since she and the step children are not on speaking terms, they figure she won’t share. UPDATE: The children from Casey Kasem’s first marriage told a Los Angeles judge that he is suffering from Lewy body dementia, claiming a change in location can be traumatic for the patient. UPDATE – UPDATE: Casey’s been found in Washington with his wife said to be on vacation. Oh Darryl. They just miss their ole dad.